Bob had gone into the Welland Hospital the end of last week and had some abdominal surgery. He was recovering over the weekend and had hoped to go home tomorrow [Tuesday], but instead he slumped over in his hospital bed and couldn’t be resuscitated. I believe he was just 60 years old. Lynette and I last saw Bob at the visitation for my father on Thursday, June 21. Bob and Irma had driven up to Kitchener, and they were so happy that Irma was slowly improving and was doing better than she had in several years. Bob had been devoting many hours to her care. Bob Kentie spent many years as a businessman and eventually felt called to the ministry. He served as a youth pastor and senior pastor in Brethren in Christ churches before joining the Garrison Road staff 12 years ago. He started out as youth pastor, and in 2007 became senior pastor. He and Irma have three adult children. Dwight Kuntz, 72, passed away on the evening of Friday, July 27, 2018. He had been hospitalized since July 2, when health problems forced him to return from Jamaica. Dwight was a United Brethren minister, ordained in 1982, and was a member of Living Grace Community Church (formerly Union Chapel UB church) in Fort Wayne, Ind. 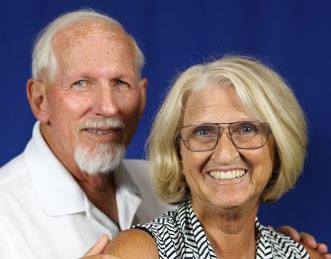 Since 2012, he and his wife of 47 years, Patti, had been spending part of the year in Jamaica as UB Global missionaries, serving as liaisons with work teams from North America. Dwight served in the US Army 1967-1971. Visitation: 2-4 pm and 6-9 pm Wednesday, August 1, 2018. Visitation location: D.O. McComb & Sons Pine Valley Park Funeral Home, 1320 East Dupont Road, Fort Wayne, Ind. Funeral: 10 am Thursday, August 2, 2018. Visitation one hour beforehand. Funeral location: Emmanuel Community Church, 12222 US Highway 24 West, Fort Wayne, Ind. Memorials may be made to Patricia Kuntz. Dwight Kuntz passed away late Friday night, July 27, 2018. 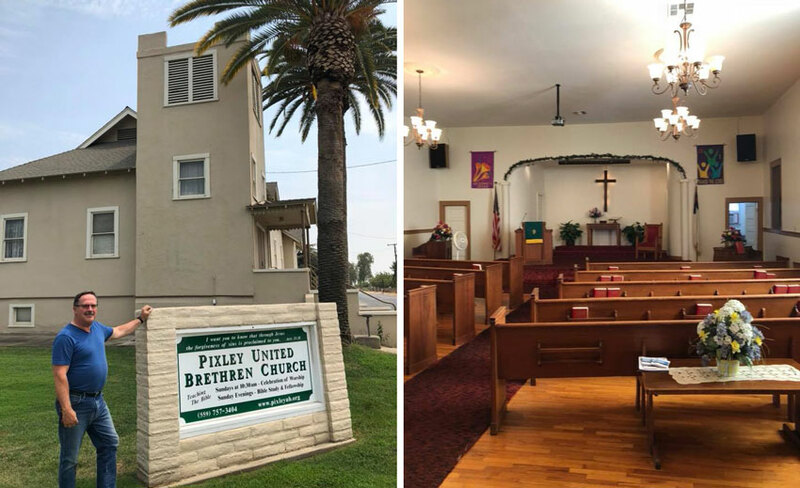 He was an ordained United Brethren minister, and since 2012, he and his wife, Patti, had been spending part of the year in Jamaica as UB Global missionaries working with short-term teams. That is what he was doing on July 2, when he became very ill and had to be rushed back to Indiana for treatment. “He is with Jesus. We were with him all day, praying, singing, crying, loving. Dwight Kuntz was a good man, he loved Jesus with all his heart, a wonderful husband, loving me unconditionally, an awesome father and Papa, who will be remembered forever. 26 Jul Position Opening: Community Worship Leader in Grandville, Mich.
Homefront UB church (Grandville, Mich.) is seeking a part-time Community Worship Leader. This person reports to the Head Pastor, and the position requires an average of 10-15 hours per week. You can download the complete job description here. Choose songs in consultation with the pastor and/or worship planning team. Conduct weekly rehearsals with members of the HomeFront community (using outside musicians only when absolutely necessary). Present a weekly musical service including spoken bridges and other liturgical elements that seek to draw attention to God and away from the individuals. Provide musical elements for other programming throughout the year as needed. Provide leadership both musically and personally for the members of the music team. Serve on the Staff Board to carry out the vision set by the Elders. A dynamic relationship with God that involves observable growth in a personal faith journey. Strong personal musicality both on a lead instrument and vocally. Demonstrated leadership skills in communication and conflict resolution. Must be willing to a member of HomeFront church and participate in the life of the church outside of job responsibilities. Degree in worship/music studies or working toward a degree in those areas. Proficiency in multiple instruments and musical theory. Pastor Keith Elliott (front, right) and the group from Criders UB church. 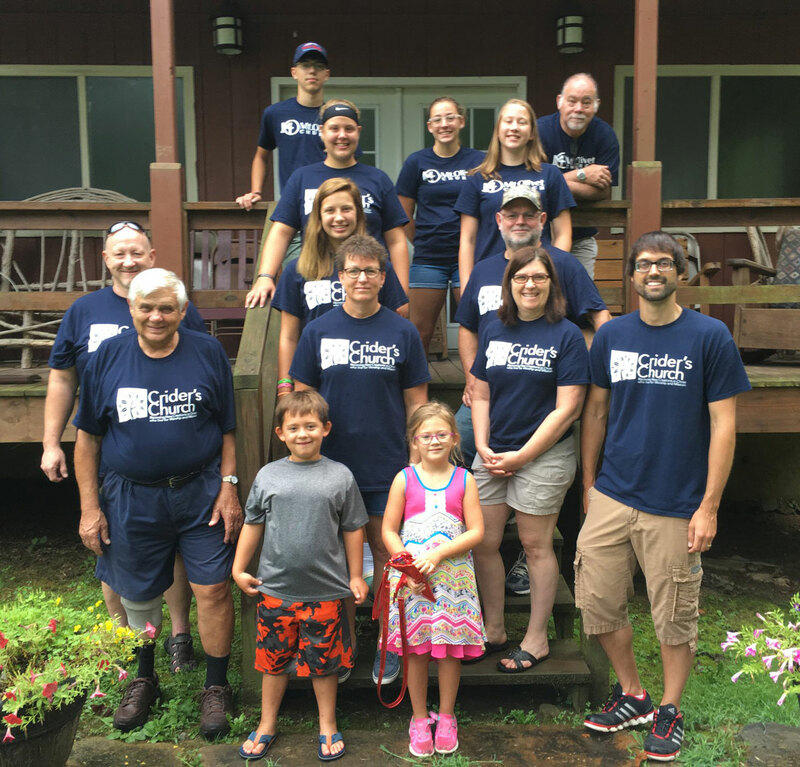 A group from Crider’s Church recently returned from a short mission trip to Laurel Mission in the mountains outside Harlan, Kent. We have been going to Laurel Mission every other year since 2014. This trip was extra special because we partnered with our sister church, Mt. Olivet UB (Chambersburg). 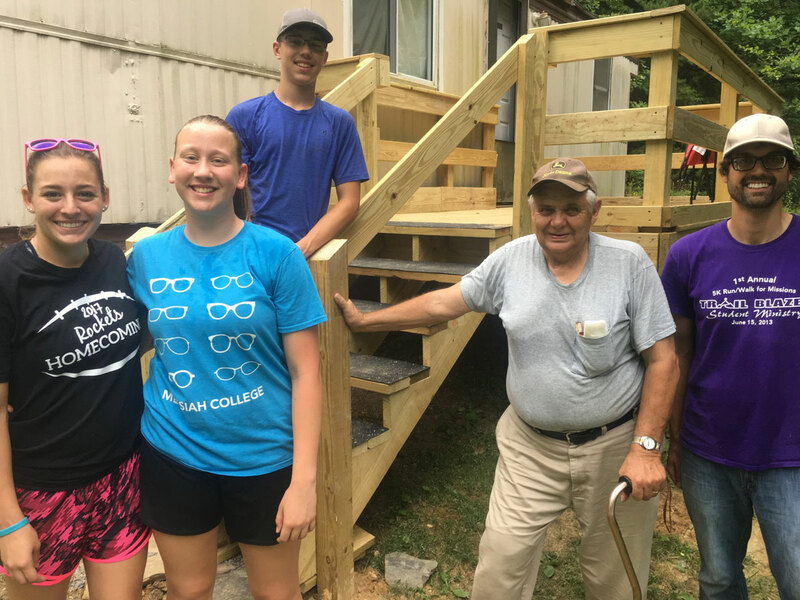 While at Laurel Mission, we spent two days on a variety of work projects. One group installed a new bathtub in a person’s home. Other groups finished building two porches started by others who had recently been to the mission. We painted a porch for a widow in the community. Some in our group helped sort clothing for the mission’s clothing center. Others painted, pressure washed, and helped in any way they could. While at the worksites, we spent time talking with and praying for the people who lived there. On Sunday, July 15, we worshiped at Little Laurel Bible Church, took a challenging hike to a local waterfall, and drove to the top of one of the mountains to take in the mountaintops as the sun began to set. Nathan Boggs, the Director of Laurel Mission, his wife Lindsey, their children, and his mom Debbie work tirelessly to minister to the people of the area. It was truly a blessing to be a part of the work God is doing through Laurel Mission. Continue to pray for Nicaragua and our 32 United Brethren churches as the demonstrations and government assaults continue with increasing violence and deaths. In recent days, the Daniel Ortega government has sent police and armed paramilitaries into various communities to conduct “clean ups” of barricades and to quell protestors and demonstrations. The violence, which began in mid-April just days after Jeff Bleijerveld and Jeff Dice left the country, has now left 370 dead, the vast majority of whom are young protestors. Banks generally remain closed, as do schools, businesses, markets and grocery stores, where shelves and coolers remain empty. This past Sunday, July 15, Rev. Armando Lopez (right), our national leader in Nicaragua, negotiated the release of more than 40 young people in his town of Niquinohomo, a task generally left to Catholic priests. Evangelicals are finding it difficult to remain neutral and are often criticized for their passivity. Just this week, we found a way to send the more than $3000 that churches and donors provided to replace the roof of a UB church destroyed by homemade mortars, and to provide packets of basic foods for the most vulnerable. Pastor Kevin Whitacre (blue shirt) with baptism candidates and persons assisting. One of the baptism candidates. Anchor Community Church (Fort Wayne, Ind.) 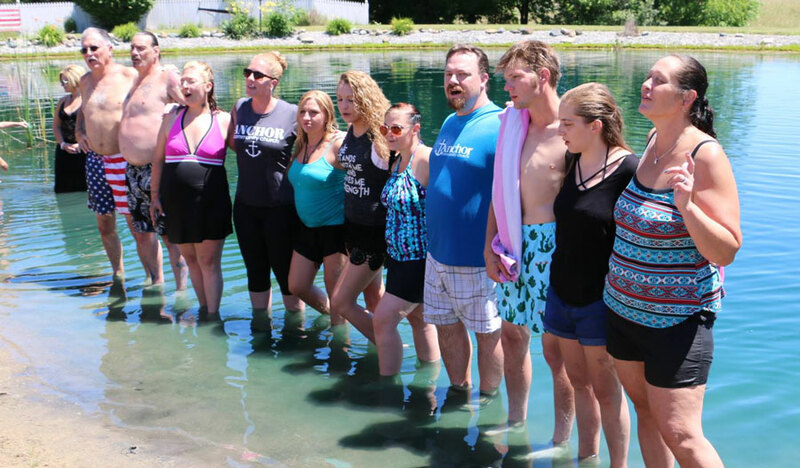 baptized nine persons on Sunday, July 9. After the morning service at the church, the congregation traveled to the home of an Anchor family for the annual all-church outing. 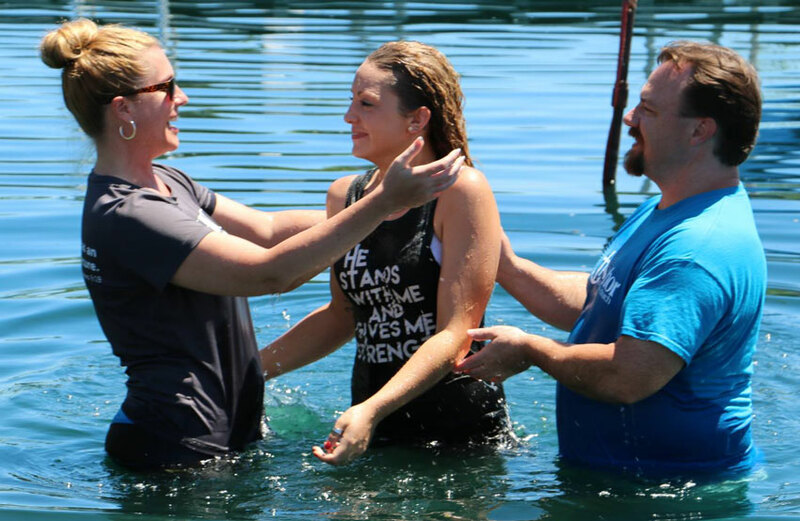 The event began with the baptisms, followed by a meal, and then an afternoon of swimming, volleyball, and general fun. Tommy Eugene Williams, 75, passed away July 11 in Findlay, Ohio. He was a former pastor in Sandusky Conference. A memorial service will be held at 10 am on Saturday, July 14, at Coldren-Crates Funeral Home in Findlay. Read the online obituary. The 5th Annual Marriage Retreat for United Brethren Pastoral Couples will be held August 13-15 at Rhodes Grove Camp & Conference Center in Chambersburg, Pa. This retreat is reserved for pastors and spouses serving in United Brethren in Christ churches. Please plan to separate yourselves from the needs of everyday life and invest in your marriage. There is no cost. This three-day, two-night retreat is sponsored in full by the United Brethren National Office, the United Brethren Association for Church Development, and Rhodes Grove Camp. The retreat topic is “Christian Marriage from the Ground Up.” It will focus on God’s unapologetic blueprint for marriage that sustains creation and reveals new creation. The keynote speakers are Michael & Yvonne Wentz. During their 33 years of marriage, they have raised three boys and were involved in four church plants. 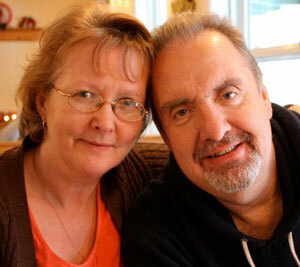 Michael is now senior pastor of Prince Street UB church in Shippensburg, Pa. Yvonne (M.S. Math Education) is K-12 Math Supervisor in the Chambersburg School District.